In the third installment of ‘Ackerman Music Amateur Acoustics’ we test how much difference there is between a metal violin string and its synthetic counterpart. To give a good baseline we used the same instrument for both test: a Hidersine Melodioso: a hand crafted instrument following a Guarneri design. 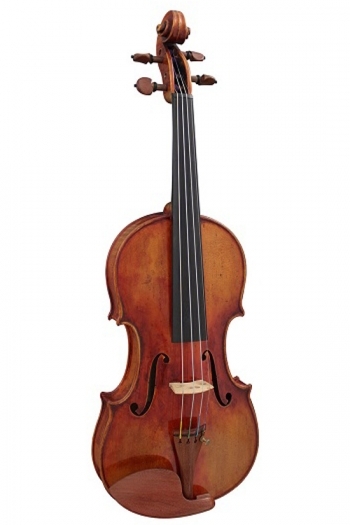 It’s a new instrument but uses aged tonewood so it has a nice rich tone already, and should give us a good reading to differentiate between the string sets. On to measuring. Part of the challenge of this endeavor is getting a signal clear enough to analyse (using our usual very scientific methods) so we decided to play the lowest fundamental note, the open G.
In the following images, the metal string is in white, and the synthetic is in red. Even with a direct comparison the differences seem minor, but there are three main areas we can look at. The fundamental note is the note we hear (G3, around 196hz) and it created by the entire string vibrating as one. In this case the metal string is clearly resonating more at the lowest note that its synthetic counterpart. With these initial harmonics the synthetic string seems to have a slight edge, and noticeably so at G5 (784hz.) This may partly explain why synthetic strings are describes as being more mellow. It is clear that the higher frequencies are must more apparent in the metal string. 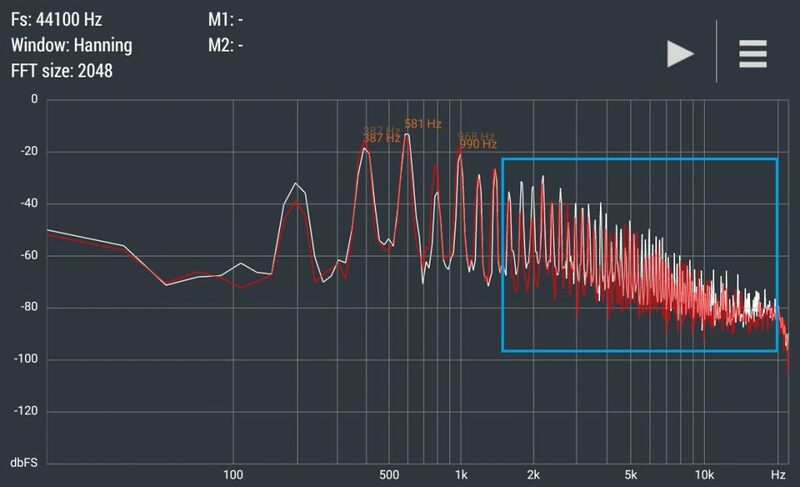 It seems that the combination of the quieter mid-tone harmonics and louder upper harmonics gives the metal string it’s characteristic ‘bright’ sound. String choice also depends on how the different strings will suit the natural resonance of your violin (or indeed any string instrument.) In general (and we might be able to test this at a later date) the older the instrument the less bright it will become. The theory goes that as wood ages it generally mellows. Because of this, we find that using synthetic strings on a new instrument gives a more rounded sound, and greatly improves many student instruments. The other consideration is what style and setting of music you will be playing. Will you be playing as a soloist? Will you be playing Pop, Folk or Classical? What sound appeals to you most as you play? These are all very individual choices and because of that it’s usually best to try a few strings before settling on your favourite. 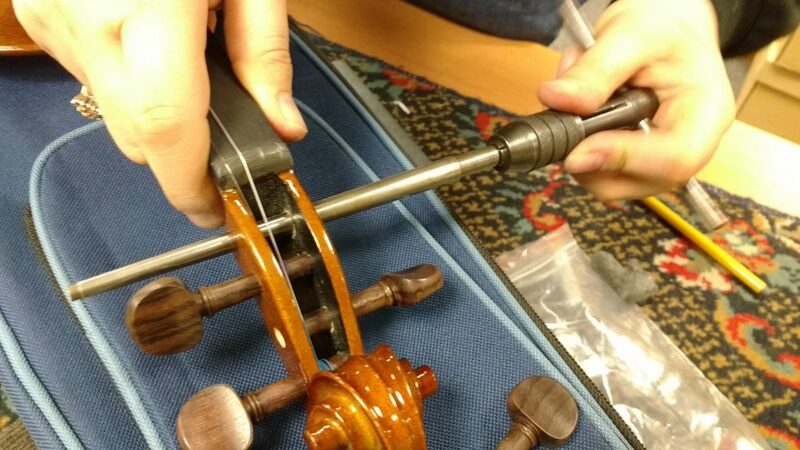 If you found this interesting we have previously done similar tests on Flutes and Trumpets. 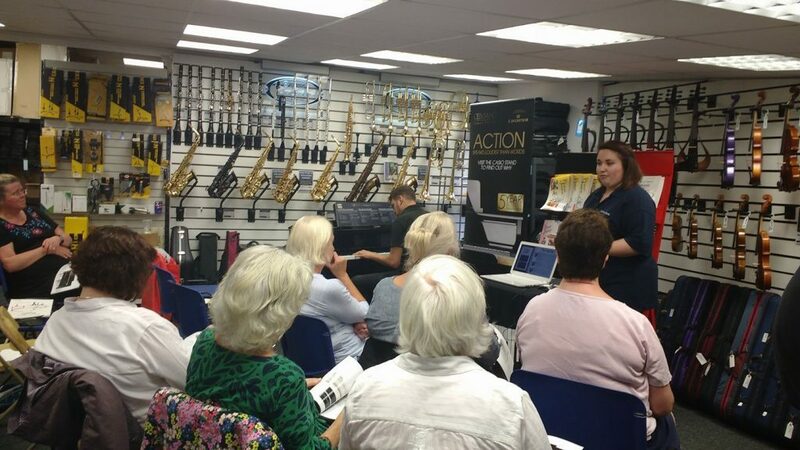 This August we hosted a ‘Piano Day’ in our Hove shop. 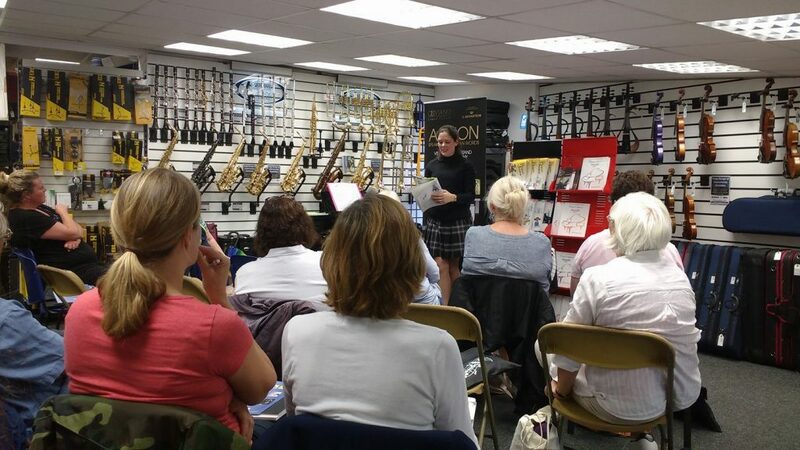 We were delighted to welcome some guest speakers to talk about piano learning and teaching. The aim of the day was to showcase some new tools in the landscape of piano tuition, as well as bring pianists together to discuss and share ideas. 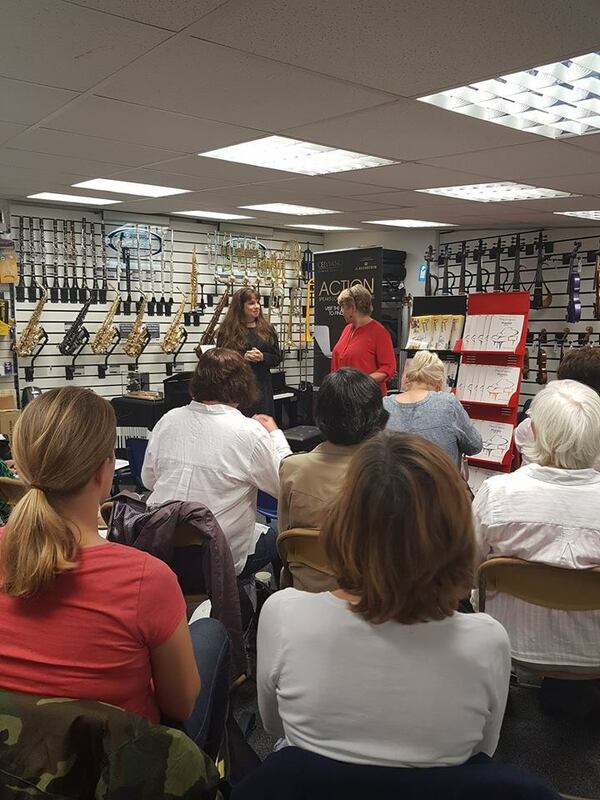 We had a full house for our recent Piano workshop with Melanie Spanswick, author of the wonderful Play It Again: Piano books and Samantha Ward who presented the very popular Piano Junior series on behalf of Hans-Gunter Heumann. Kirsten’s presentation on the Grand Hybrid range was excellent, and well worth reading through for anyone interested. The presentation can be found here. The afternoon session continued with Samantha Ward demonstrating a lot of the exercises from the Piano Junior series. Three of her pupils had kindly offered to come along and play from the books and a lot of the attending teachers joined in as well! 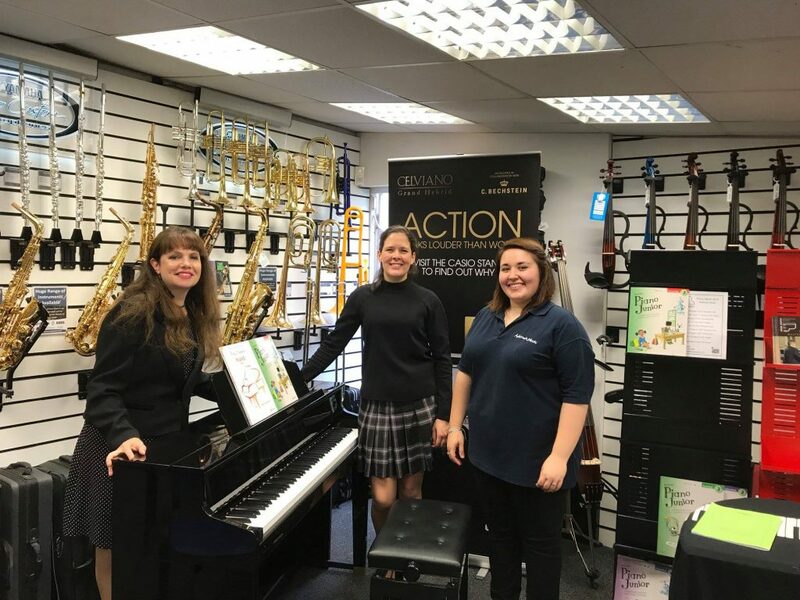 The afternoon ended with teachers topping up their sheet music collections thanks too our extra in store discount, and most of them left with signed copies of Melanie’s Play it Again books. It was a lovely day enjoyed by everyone present and we are hopeful for plenty more events like this in our branches. You’ll next see the Ackerman Team at the ABRSM Conference in London on Saturday 3rd November.